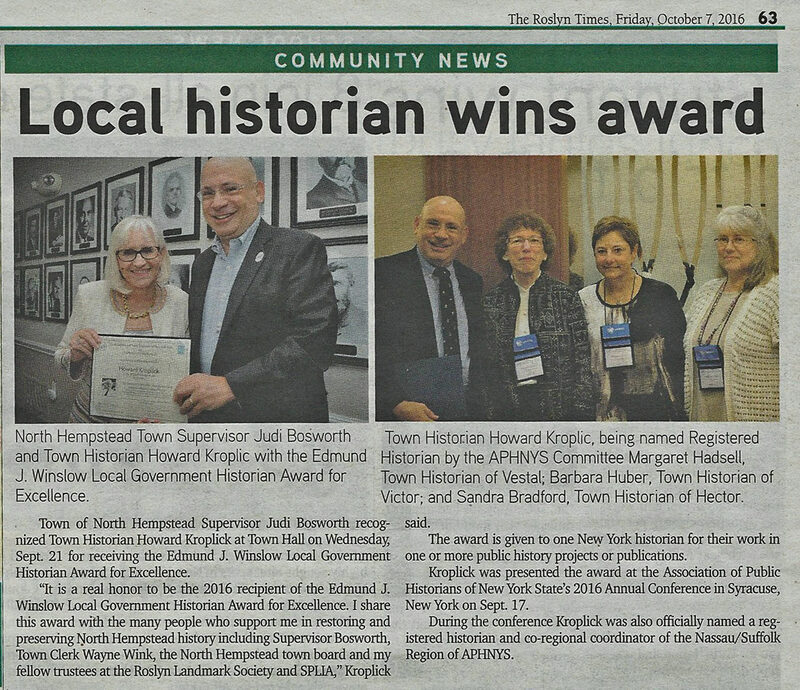 Today's issue of The Roslyn Times reported on the awarding of the 2016 Edmund J. Winslow Local Government Historian Award for Excellence at the September 17, 2016 meeting of the Association of Public Historians of New York State (APHNYS) in Syracuse, New York. 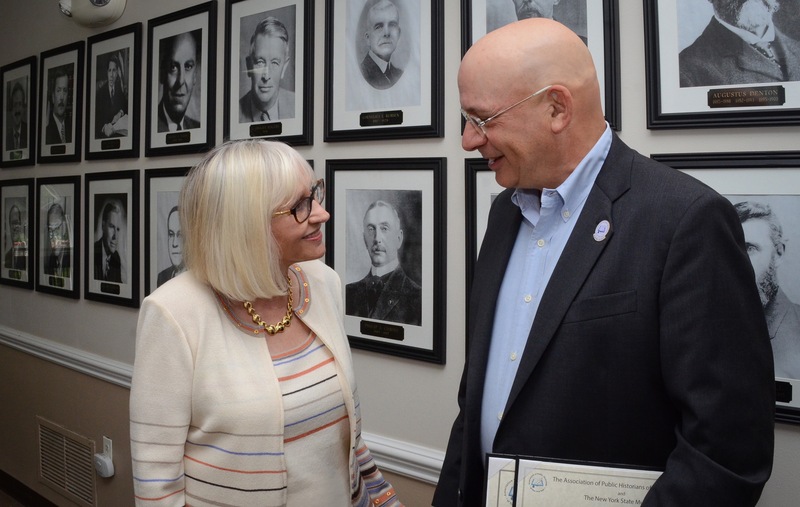 Town of North Hempstead Supervisor Judi Bosworth recognized Town Historian Howard Kroplick at Town Hall on Wednesday, September 21 for receiving the Edmund J. Winslow Local Government Historian Award for Excellence. “It is a real honor to be the 2016 recipient of the Edmund J. Winslow Local Government Historian Award for Excellence. I share this award with the many people who support me in restoring and preserving North Hempstead history including: Town Supervisor Judi Bosworth, Town Clerk Wayne Wink, the North Hempstead Town Board and my fellow trustees at the Roslyn Landmark Society and SPLIA," Kroplick said. The award is given to one New York historian for their work in one or more public history projects or publications. 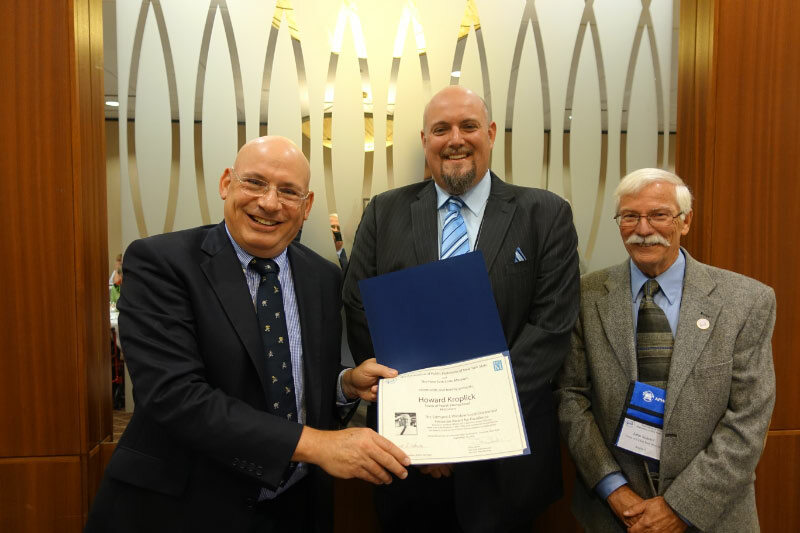 Town Historian Kroplick was presented the award at the Association of Public Historians of New York State’s (APHNYS) 2016 Annual Conference in Syracuse, New York on September 17. 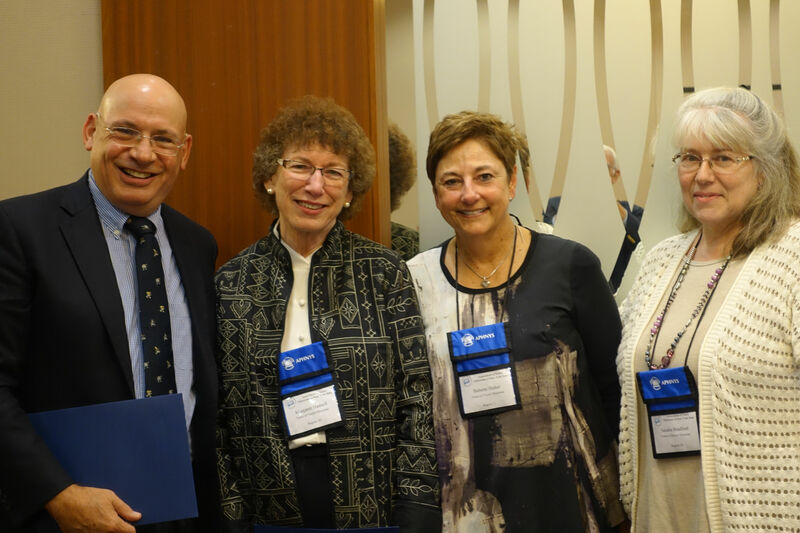 During the conference Town Historian Kroplick was also officially named a registered historian and co-regional coordinator of the Nassau/Suffolk Region of APHNYS . Howard Kroplick (left) receiving the award from Devin Lander, New York State Historian (center) and John Scherer, Town Historian of Clifton and a chairperson of the APHNYS Awards Committee (right). Town Historian Howard Kroplick, being named Registered Historian by the APHNYS Committee Margaret Hadsell, Town Historian of Vestal; Barbara Huber, Town Historian of Victor; and Sandra Bradford, Town Historian of Hector. Town Supervisor Judi Bosworth and Howard Kroplick. Congratulations Howard. You are clearly the most deserving of all. Congratulations on your recent award!!! Great job and a well deserved honor, especially for you and all your good work, and to Supervisor Bosworth and all the members town board for their unwavering support. Congratulations on this for all your excellent work, Howard. Congrats, Howard. Great to see your stories and photos of our past “neighbors”. This is a little late, but nevertheless sincere congratulations on your award. Sheila and I wish you and your family a safe, healthy and happy New Year.